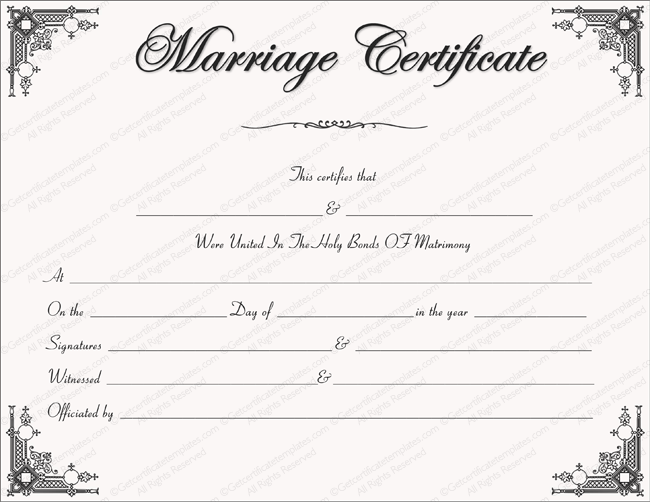 A marriage certificate should be something that is beautiful in terms of design, something that makes those who see it feel in awe. 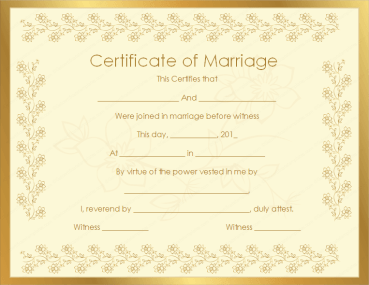 A certificate that is created to celebrate the union of two individuals should be something that fits with the whole formal wedding theme and it should be something that has a formal design. 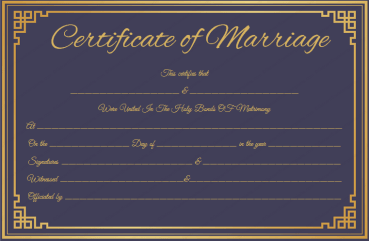 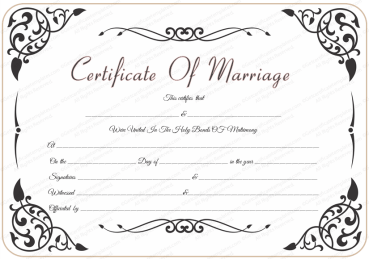 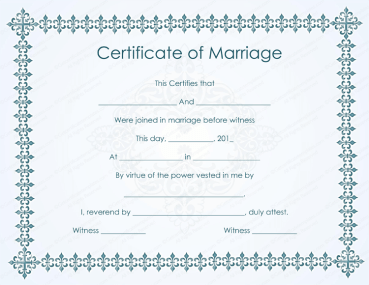 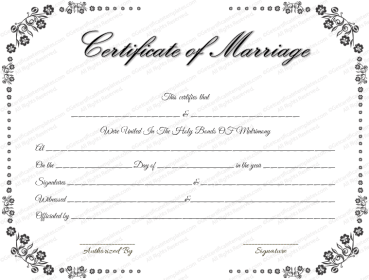 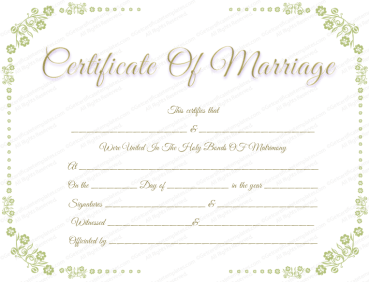 This Marriage Certificate Template allows one to create a certificate that is completely formal. 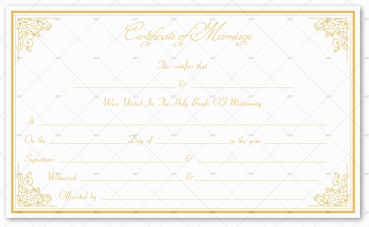 This template corners that are marked with a formal and pretty print. 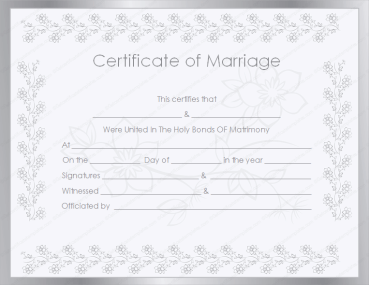 This template includes space for the names of those who are getting married as well as the signatures of those who have witnessed the special union. 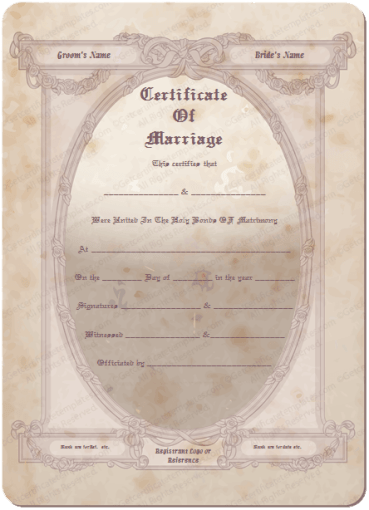 Those who are looking to create something that has a beautiful and formal look to it will find that this Marriage Certificate Template allows them to do that and that it delivers all of the help that they need with that job.